If an evacuation order has been issued, officials stress that you make every effort to leave the area. Shelters are not hotels! They will not be able to provide you with any conveniences or luxuries. Bring your family’s disaster supply kit to ensure proper provisions. Be considerate! Shelters have a community environment that consists of a large number of people. It is important to be considerate and cooperative and follow the instructions of the refuge management team. Food and water may be scarce at first. You may experience the shortage or rationing of food, especially for the first few hours. The condition will be temporary. No weapons or liquor allowed! Weapons and liquor are not permitted in shelters under any circumstances, and could lead to your arrest. and refuse to pass on another person’s speculations. 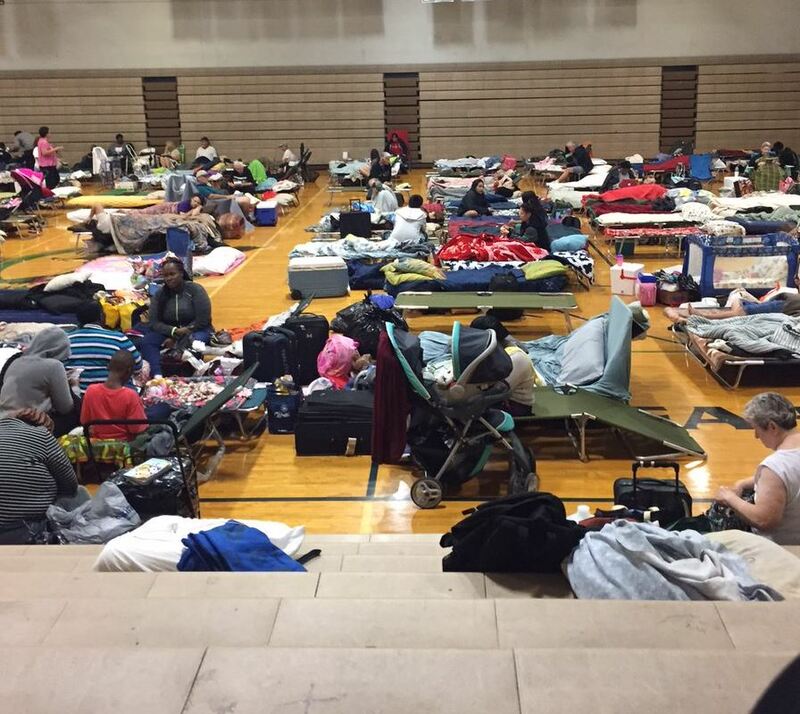 Local Emergency Management officials will decide which shelters to open — and when to open them. When hurricanes threaten, stay tuned to WINK News for up-to-the-minute disaster information. Persons with special needs MUST be pre-registered. Persons with special medical needs MUST pre-register with their county’s Emergency Management Office! Special Care Centers are opened on an as-needed basis. Please verify that the centers are open before evacuating! Pets are NOT allowed in public shelters – they are ONLY allowed in shelters labeled PET FRIENDLY. Service animals are allowed in ALL shelters, and are trained to perform a service for their owner. Residents who intend to go to a public shelter must make other arrangements to ensure their pet’s safety and care in the event of an evacuation. Shelters open when determined by Emergency Management officials who will make an announcement at the time of a storm. PLEASE NOTE: Do not depend on a particular shelter/refuge site being open. Shelter/refuge sites may or may not be opened depending on the size of the storm and the predicted landfall area. Charlotte County has no refuge sites if we have a Category 3 or higher storm affecting the area.